Jean-Christophe Bieselaar is one of my closest friends (shown here with his son Paul). Born, raised and currently living in Paris, Jean-Christophe is consulting pastor of one Parisian church, Parish Associate at The American Church in Paris, and a chaplain at five hospitals. We kept in contact during the night of the recent terrorist attacks and I was impressed (but not surprised) at how he responded as the events unfolded. The following principles are well known but sometimes forgotten when crises arise in our own environments. Try to remain calm. Jean-Christophe wrote that there was no chaos in the hospitals. The professional staff was “calm, focused and organized”. Calmness in caregivers tends to spread, especially to people who are afraid and agitated. Resist the urge to rush to the location of the crises. Have you heard about counselors, medical people, or church groups who rush to the places of tragedy, including trips overseas in times of national disasters? These people go with good intentions, but they don’t know what is needed and get in the way of local responders who understand the situation better. Be alert to the place where you’ve been planted. Jean-Christophe went to two churches where he normally serves. One is a young adult congregation. “They were all speechless and shocked. They had never faced anything like that. I encouraged them to turn their eyes from TV and their mobile devices. We read some Psalms particularly Ps 121 and I asked them to focus on John 14.1. Then we spent a long time praying. And the peace of God came upon us all like a healing water”. After this, my friend went to the E.R. at a hospital where he is known and works. Notice the recommendation to turn off media broadcasts. Watching endless media reruns or commentary can arouse, rather than reduce anxiety. In addition, media consumption can lead to fear-inspiring addiction. This stuff is fascinating to watch. Do what you do best in the setting where you’ve been planted. Jean-Christophe worked in the places and with the people where he is known. Few of us can do much in Paris right now, but what about the nervous people in our churches or workplaces? Do you have neighbors with friends or relatives in Paris? Could they benefit from your support, encouragement and prayers? Keep focused on the peace and hope that comes from God and on empowerment from the Holy Spirit. What would you add? Please comment. 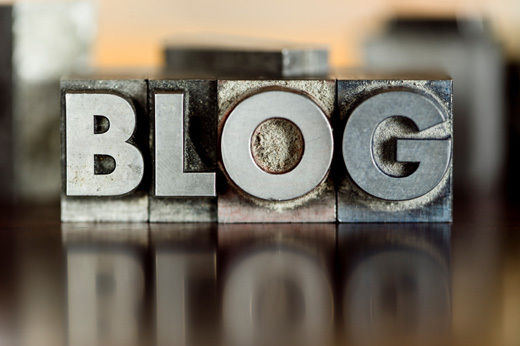 Newsletter 621 – Should We All Be Translators? If the title of this newsletter sounds dull, please keep reading, at least this paragraph. 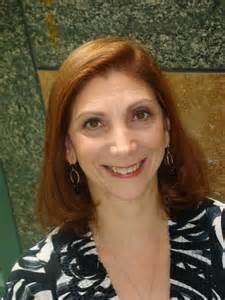 Exactly one year ago Nadine Kaslow, then-president of the American Psychological Association, gave a talk titled “Translating Psychological Science to the Public” (published in American Psychologist, July-August, 2015 issue.) Dr. Kaslow makes a compelling and engaging case that applies whatever your area of expertise and interest. Too often we talk with like-minded colleagues and rarely attempt to translate what we know to outsiders in other fields. To whom do we translate? It depends on our message. For example, it may be relevant to various professionals, policymakers, students, therapy patients/clients, or the general public. How do we translate? Be succinct, accurate, and with writing that holds interest and anticipates how recipients may respond to the message. What methods do we use? Obviously utilize articles, books, and traditional media like magazines, verbal presentations, radio and television. But focus too on using websites and social media. Many people are best reached through Facebook, Twitter, LinkedIn, podcasts and other channels including, of course, blogs. And don’t overlook the arts, museums, or public education campaigns. What gets in the way? First, common attitudes, especially in professionals or academic circles where there is concern about inaccuracies or disdain of “popularizers” who may even be devalued professionally if they produce anything for popular audiences. Second, logistical barriers in those who don’t know how to reach beyond their own fields. One example, do you know how to get a magazine article or popular book published? Thanks for reading beyond the first paragraph above. Now please leave a comment about your translating. Only a few years ago the publishing world was controlled by newspaper or magazine editors and by book publishers. Unless one was well known it was difficult to get published or offered good speaking engagements, But not today, says the cover copy of Hyatt’s book. “Social media technologies have changed everything. Now for the first-time in history, non-celebrities…can get noticed and win big in an increasingly noisy world.” We can publish our own books, build our own band of followers, and get our messages or our products noticed. The book’s dedication is revealing: “to all authors, artists, and creatives…who have been turned away because they didn’t have a platform” and who haven’t known how to build one. Until now. This is a book of how-to-do-it lists that are easy to understand and not hard to apply, especially by anyone with a passion for making their creations or products known. 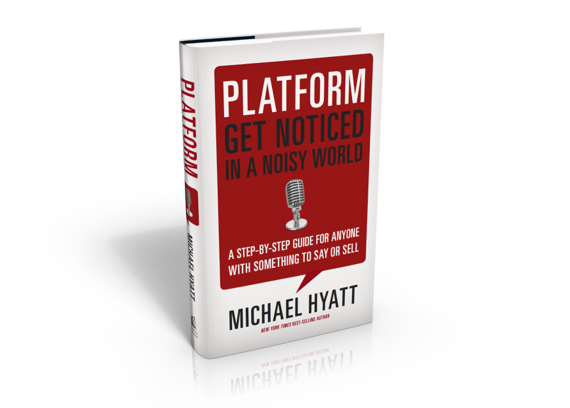 Well written, filled with captivating anecdotes, and illustrated with success stories from Michael Hyatt’s platform building career, the book is useful and up-to-date guide. 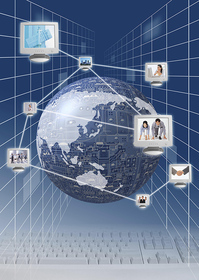 Expand your reach by utilizing the Internet and other accessible reach-out tools. The author is a Christian who connects with a secular market, never mentions his beliefs, but reflects Christian values in his work. Have you read Platform or had good (or bad) experiences in making your book or message known? Please comment. In the United States the last Friday in November (day after Thanksgiving) is the busiest shopping day of the year. Many stores open before dawn to welcome bargain shoppers to the sales. Then comes Cyber-Monday, the year’s busiest Internet shopping day. In contrast, half a world away, this weekend commemorates the November 26, 2008 terrorist attack on the posh Taj Mahal Palace Hotel in Mumbai India. Harvard Business Review (HBR) is a lot about sales and business but two recent articles also describe the Mumbai attacks. “Global criminals are now sophisticated managers of technology and talent,” begins an HBR commentary on terrorism and organized crime (November, 2011). The article shows how technology was used by terrorists in attacking the hotel. During the melee attackers “used their BlackBerrys, satellite phones, and handsets to get tactical direction from a command post far away and to monitor broadcast news and twitter posts sent by innocent bystanders who gave real time information including the activities of police and military. There are practical lessons from this and from the weekend mall frenzy in America. Social media may seem overwhelming, especially to people who are older, but this is a part of the world where we live. Terrorists, criminals, police, retail businesses and shoppers all use and are impacted by social media. We may have discomfort with the changing technology but we’re likely on a track to irrelevance and isolation if we ignore technologies or use excuses to keep operating in the old ways. Social media can be harmful or helpful they are here to stay and we must keep learning to understand and use them. Another HBR article. 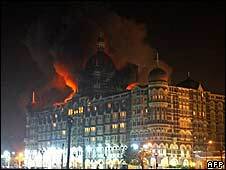 “Ordinary Heroes of the Taj” (December, 2011) describes employees working inside the hotel when terrorists attacked from the outside. The hotel recruits employees from smaller communities because that’s where traditional Indian values still persist. Then employees are rigorously trained to show respect for guests, cheerfulness, dedication to duty, honesty, and consideration for others. Values are even more important than skills, talents, competence, and profits. All of this was evident during the terrorist attack. In business and in times of crises, values and integrity are of prime importance, probably even more than knowing social media. Do you agree? Please comment. Analyze. List the people in your current network. Who among them are energizers – people who encourage you and see new possibilities? Who are the de-energizers, those who are critical, inflexible, inclined to drain you. Classify your relationships into the benefits that each person provides for you. Most common benefits are the receipt of information, political support and influence, personal development, support and energy, a sense of worth, and help with work/life balance. De-layer. Back away from relationships that sap your energy or that bring little of unique value. In which of the six categories do you have too many people? Trim your current list. Diversity. Once you have trimmed your network, bring in the right people to round out your six categories. Get people of diversified backgrounds, expertise, experiences and cultures. Write down your goals for the next year. Then list people who could help you succeed. Keep the new network at about 12-18 people. Capitalize. “Make sure you’re using your contacts as effectively as you can.” Find ways that you can give back to your network contacts. Is this network building manipulative, insensitive or self-serving? Not if you build relationships characterized by mutual respect, sharing and trust. This can be beneficial to everyone, better than a loose collection of friends that may not contribute much. What do you think? Try this formula. Please comment. The author describes how different kinds of stories are needed for reaching each of the above goals. 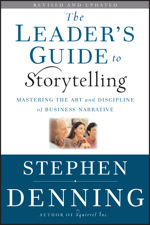 He shows how storytelling has become a central component of leadership, teaching and people-helping. The book ties story telling to the ways in which social media are transforming how we impact others and are enabled make a difference. Clearly I like this book and think it’s practical, useful and worth recommending. It includes good stories and could have value for your work and communication. But should I recommend that you read it? Busy people have limited time to read books, especially long books. And for every volume we read many others must be passed over. In an age of information tsunamis how do we keep up without being swamped? In choosing what to read, I look at reviews and sometimes meander in a bookstore to see what is new. I respond to recommendations from my friends and I often ask myself if or how reading some book could be beneficial. At times I pray about my reading, asking God to guide. Then I make my decisions. Here’s are three questions. How do you use stories to impact others? How do you select what you read? If you’ve read Denning’s book what did you think? Please click on Write comment to share your observations or your story.